Millennials are often thought of as the most engaged and lucrative mobile gaming demographic. While leading millennials do play the most frequently they are closely followed by Generation X. According to the AdColony Consumer Sentiment Survey 2017, leading millennials are in their early 30's and Generation X well above the age of 40. It is obvious that millennials with their tech savvy nature would play the most frequently but isn't it shocking that even 40 year olds are so engaged with mobile gaming? 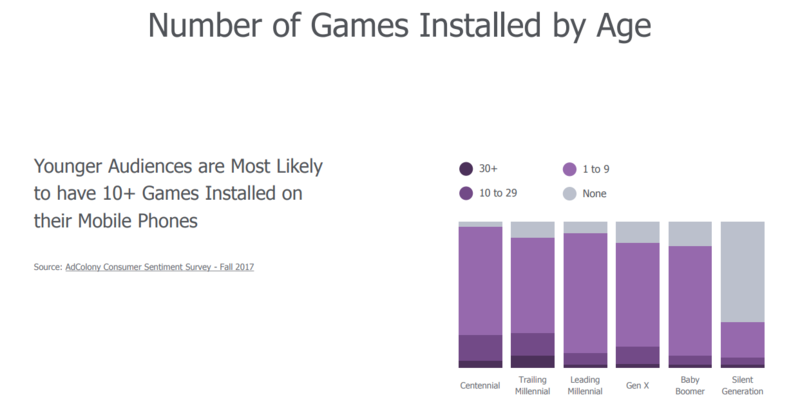 Since teens have the largest number of games installed this may translate to lesser loyalty. 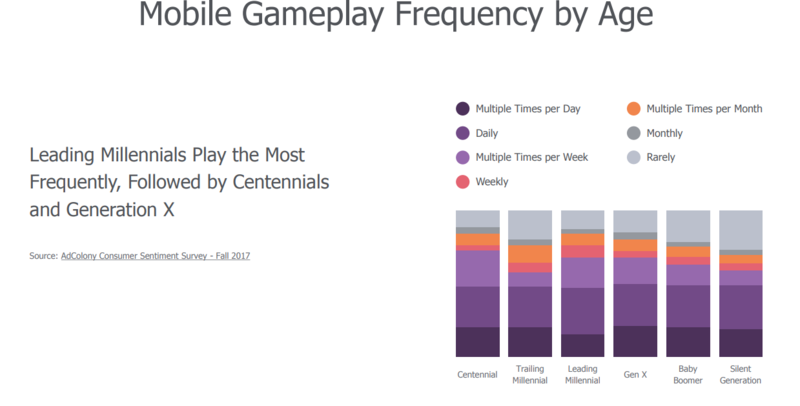 On the other hand, GenX and Centennials have a larger proportion of people having only 1-9 games on their smartphones. Thus, it makes sense for gaming companies to create grames targetted to these segments. Isn't it better to have an engaged player who plays for hours than one who simply downloads your game and forgets about it? Thus, millennials may be the most visible segment but it's the GenX who truly are the most engaged when it comes to mobile gaming. So quite honestly, your 40-year-old boss is most probably toting 30+ games on her phone where she could be loyal to more than a handful! Do you think casual gamers in their late 30's and early 40's are a lucrative segment to target? Do let me know in the comments below!